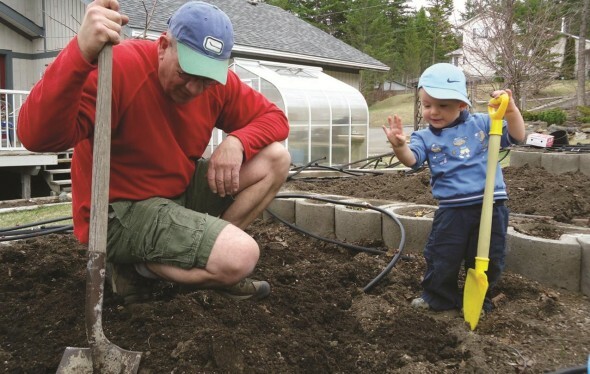 The Williams Lake Garden Club is sowing seeds for a new season. The first meeting of the year was held at on Thursday, March 3. The club got off to a great start, with over 40 people purchasing annual memberships. The purpose of the Williams Lake Garden Club is to promote, encourage, and support the horticultural interests of local residents. We do this through educational sessions that appeal to both experienced and new gardeners. Our monthly meetings include keynote speakers, networking, and contests as well as sharing of ideas, expertise, and resources. The Williams Lake Gardening Club collaborates with like-minded groups in the area to enhance our gardening knowledge. April’s meeting will be held on Thursday, April 7 at the Cariboo Arts and Cultural Centre (old firewall). Darryl Grams will be addressing xeriscaping, which is very timely following last year’s searing, dry summer. Darryl will promote the use of plants that flourish in the Cariboo with minimal amounts of water. The club will continue to meet the first Thursday of every month until October 6, 2016. The topic of the May 5 meeting will be Invasive Plants of the Cariboo, with Emily Sonntag, from the Cariboo Regional District. On June 2, John Orlowsky, greenhouse curator at the University of Northern BC, will present Plant Nutrition. July 7, Garden Club members will meet at the Central Cariboo Arts Centre and venture off on a walking tour of the restored Potato House gardens and downtown community vegetable gardens with Mary Forbes. The August 4 meeting features a driving tour that will include stops at three unique gardens south of Williams Lake. The September 1 meeting will highlight special guest, Lorna Herchenson from the BC Fuchsias and Begonia Society. Lorna and three of her knowledgeable friends will speak about Growing Fuchsias and Begonias. The October 6, 2016 final meeting of the season will include an Annual General Meeting and a SPIN (Small Plot Intensive Agriculture) presentation with Brianna van de Wijngaard from the Williams Lake Food Policy Council. The popular Garden Tour is back in 2016. This special event held every two years is scheduled for Saturday, July 9. Club members, under the expertise of garden tour co-ordinator Gerry Gebert, are busy finalizing the details of this exciting tour, which will showcase a variety of colourful summer gardens around the city. Watch for more information. Annual memberships are still available for $10. New members can also drop in to meetings for $2 throughout the eight-month season. If you would like more information about the Williams Lake Garden Club, contact president Deb Radolla or vice-president and program co-ordinator, Pat Radolla at (250) 392-2769.